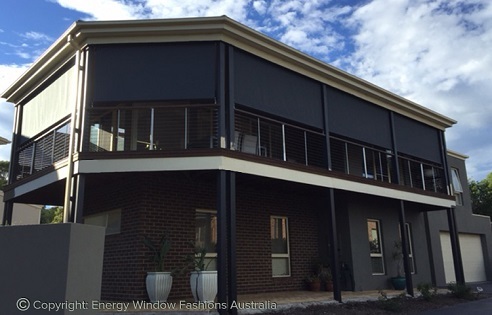 Retractable Awnings Online from Energy Window Fashions – a leading supplier of Awnings in Melbourne and Canberra! If you are on the lookout for retractable awnings for sale, you’ve come to the right place! We offer a wide variety of retractable window awnings online, ensuring that you can find one to complement your home and property as a whole. You cannot go wrong when you shop with us! One of the key reasons that homeowners choose to invest in outdoor window awnings is that they offer your home superior protection. During the summer, they will keep hot sun off your windows and alfresco areas; during the winter, they will keep rain, hail and even snow out. We have large retractable awnings and small awnings to ensure that windows and alfresco areas of all shapes and sizes can be provided with protection year round. 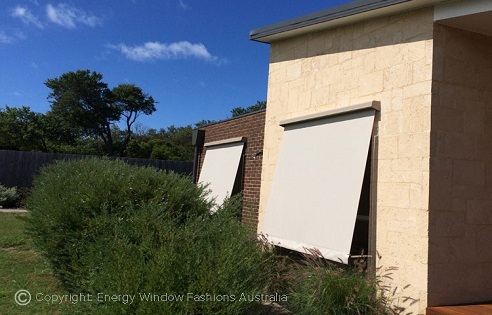 They are custom made according to your needs, so can cover spans up to 15 metres wide and 3.5 metres outwards. 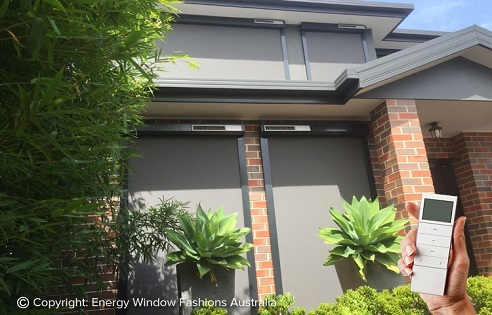 When choosing home retractable awnings in Australia, you’ll be pleased to learn that we have an extensive range of other options available. It covers standard, straight drop, dutch hood and canopy, zip/channel and pivot arm. 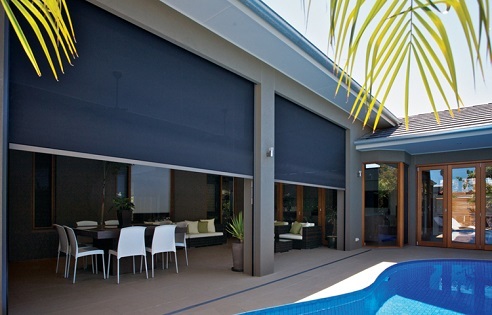 Choose between a motorised and manual retractable awning installation. As they’re installed outside, we deal only in retractable waterproof awnings to ensure that they’re able to withstand exposure to the elements. They are manufactured from a range of quality materials, including a wide range of modern fabrics and aluminium awning frames. Are you having trouble choosing retractable home awnings? Get in touch! Our expert team is more than happy to guide you through our range, understand your needs and ultimately suggest house window awnings to match. Every team member possesses a wealth of knowledge ready for you to tap into. But what about retractable awning prices? We want our customers to have access to high quality retractable awnings for home without breaking the bank, which is why we are committed to offering the most competitive prices on the market. You’ll be amazed at our retractable awnings cost! Take the time to browse our fantastic range of fixed window awnings and see for yourself all the ways that we can improve your property today. Sick of having to go outside in horrible weather and struggle with stiff frames that simply don’t want to move? Our motorised awnings could be for you! At the push of a button, the coverings can extend or retract as desired – we also offer timers if you’d prefer not to lift a finger! And rest assured that, in the case of a power outage, they can all be operated manually. Whether you want to cover a walkway, a door or a window, our dutch hoods and canopies are the perfect choice. They are particularly popular in commercial applications, as they can be signwritten with your logo and other advertising information. Choose to have retractable hoods (meaning that they can be opened and closed at will) or fixed ones. Our pivot arm awnings are ideal for a variety of different window applications, from balconies through to multistory buildings. They’re also ideal for many door applications (when providing protection is a must). The whole range is locally made, so you’re supporting Aussie business, and come complete with a fantastic 5 year warranty for your peace of mind. 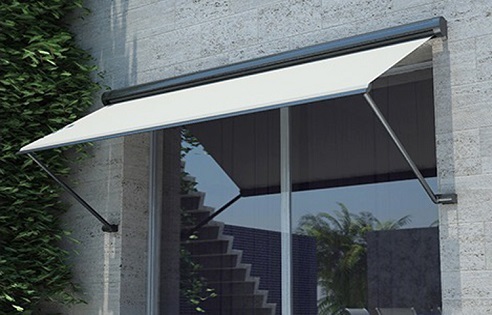 These awnings allow you to completely enclose your alfresco area as well as protect it from the elements, which is ideal if you live in a high wind area where gusts are prone to coming in through the gaps. They can also help to improve the energy efficiency in your home (by keeping heat and cold off your windows) and come in a variety of operation options. When privacy and light control are what you desire, you cannot beat our range of straight drop awnings. They’re especially ideal in situations where our side channel and wire guide options simply aren’t suitable. We have a range of modern fabrics to choose from, ensuring that your alfresco areas look incredibly stylish and inviting to your family and friends. If you’re looking for an energy efficient solution, this is it! 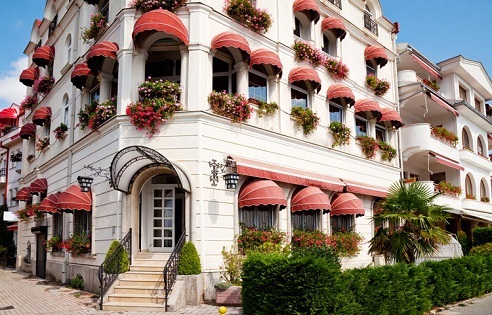 Our standard awnings an extremely effective means of reducing the running costs of air conditioners during the summer and heating systems during the winter. The whole range is made right here in Australia, so you can rest assured that you’re supporting Aussie business when you place an order.